Last year’s Love Geneva 2014 Loyalty Card was a great success — raising around $2,500 for the Foundation for the Geneva Public Library. 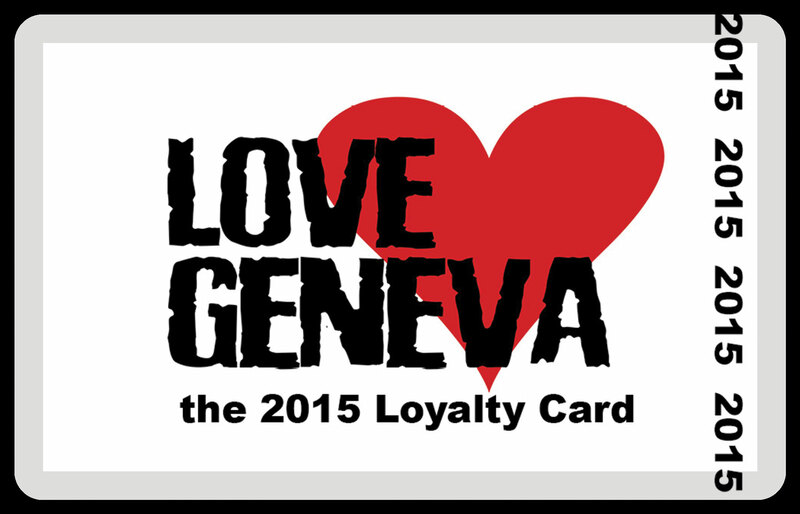 So we are pleased that the 2015 LOVE GENEVA loyalty card — available for only $10.00 — is now available, with all profits going to the Music Boosters of Geneva, supporting music-based programs for the Geneva School District. It is currently available for purchase at the Finger Lakes Gifts & Lounge, Stomping Grounds, Earthly Possessions, and Burrall & Sons Insurance. Water Street Cafe will be giving cardholders 10% off their bill. Go here for a complete list of participating business. The cards are available at the Geneva Public Library, Finger Lakes Gift and Lounge, Earthly Possessions, CS Burrall and Sons Insurance, and Stomping Grounds. They are only $10 and we’ve already raised well over a thousand dollars for the Foundation for the Geneva Public Library.